Mary Jane Reekie, 91, of Manor Twp., passed away peacefully at her home on February 5, 2019, surrounded by family. Born in Altoona, PA she was the daughter of the late David Fechter and Susanna Gertrude (Peterman) Fechter. She graduated from Altoona High School in 1945 and worked at Penelec in Altoona as a telephone operator and receptionist from 1946 to 1950. She married John Gale Reekie in 1950, and together they celebrated 68 years of marriage. Mary Jane enjoyed working with people, and during her retail career in Lancaster she was a personnel assistant and store trainer at Sears and a retail associate at Appel and Weber. Mary Jane was talented in writing stories and poetry. She had several “I Know a Story” articles published in the Lancaster New Era. She also enjoyed playing pinochle, observing the beauty in nature, studying religious and spiritual topics, and traveling with her husband. After retirement, she volunteered with the Millersville Area Meals on Wheels and at the Homestead Village gift shop. She valued family and enjoyed visiting and spending time with her children and grandchildren. Mary Jane is survived by her husband John Gale Reekie, son Dr. Timothy Reekie (Leslie Davis), daughter Linda Reekie (Johanna Miller), and daughter Michele Reekie (Richard Miller). She is also survived by her grandson, Adam Reekie (Nicole Antonucci Reekie); her granddaughters, Marisa Reekie, Aura Tremellen Kniele (Joe Kniele), and Kaia Miller; and a brother-in-law, John Rishel. In addition to her parents, she was predeceased by a brother, John Fechter. The family expresses heartfelt thanks to Caring Hospice Services and Comfort Keepers for their loving assistance to Mary Jane and family. Funeral services will be held at 3 PM on Sunday, February 10, at the Charles F. Snyder Funeral Home & Crematory, 441 North George St., Millersville, PA 17551, where a viewing will be held beginning at 2 PM until time of services. Interment will be held on February 11, 2019 at 2 PM at Rose Hill Cemetery in Altoona PA. 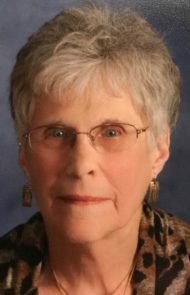 In lieu of flowers, contributions in Mary Jane’s memory can be made to the Parkinsons Foundation at https://parkinson.org. Linda, I am so sorry for your loss. Your mom was a wonderful person. I remember talking with her about writing when I used to visit during our college years. So sorry to hear of your mothers passing. My Condolences and wishes of comfort in this time. May god bless and strengthen you. Best wishes for your future.